JNTUH B.Tech 1-2 (R16) & I Year (R15) Advanced Supply Exams Notification July 2018, Jntu hyderabad 1-2 sem advanced supplementary notification 2018. 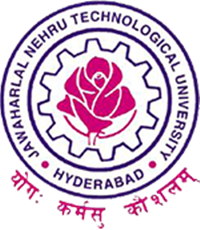 Sub: JNTUH, Hyderabad – Examination Branch –B.Tech I Year II Semester (R16 Regulations) & I Year (R15 Regulations) Advanced Supplementary examinations July-2018 Instructions to the Principals–Reg. The Principals of the constituent and affiliated B.Tech Colleges are hereby informed that the University Examination Branch issues notification for the conduct of B.Tech I Year II Semester (R16)& I Year (R15) Advanced supplementary examinations during July – 2018. Note: 1. In case of Physical Handicapped students (deaf, dumb, hearing impaired, orthopedically handicapped and visually handicapped) as per University Proceeding No. JNTUH/EB/11148/2/ Concessions extended to the Physically Challenged students/2018, Dated.20-01-2018, with relevant documental evidence are eligible for exemption of examination fee payment. 3. If the RC/RV Results not declared by the time of starting of these exams, the students shall write these exams. If the student passes any subject in RC/RV results, the performance in this advanced supply exams will be nullified. So exam is there are not.